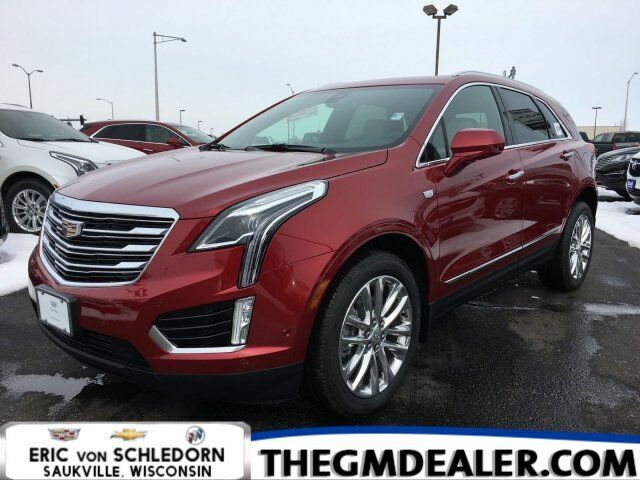 This is the new 2019 Cadillac XT5 Premium Luxury AWD with the following: 3.6L V-6 gas engine with automatic start/stop, 8 speed automatic transmission, interior protection package, 20" 12 spoke fully polished aluminum wheel, black molded splash guards, driver assist package (advanced adaptive cruise control, auto safety belt tightening, forward/reverse automatic braking, automatic parking assist), and the 4G LTE Wi-Fi hotspot. The color combination is Red Horizon Tintcoat with the Sahara Beige leather interior with jet black accents. This car comes with one scheduled service visit from Cadillac. Ask sales for details!